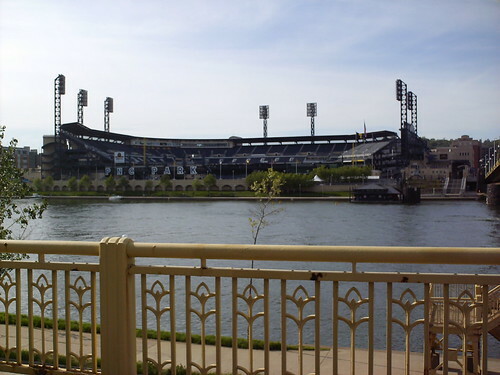 PNC Park as seen from the Alleghany River. 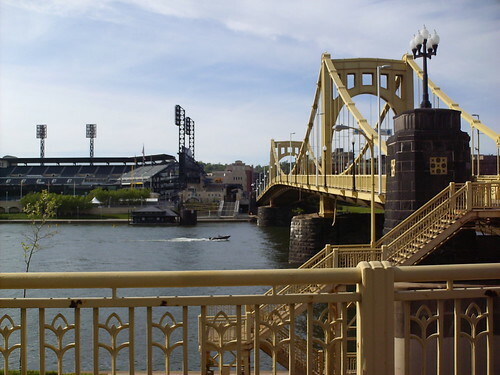 The Roberto Clemente Bridge, to the right is closed on game days so fans can walk to the park. 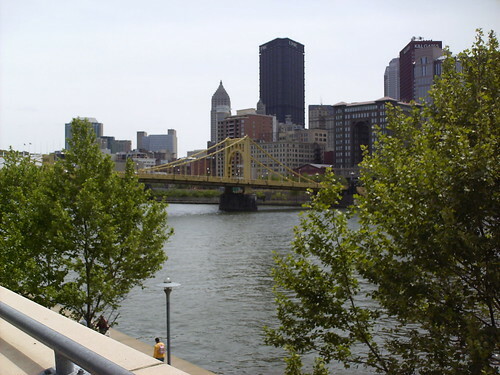 Downtown Pittsburgh as seen from the riverwalk inside PNC Park. 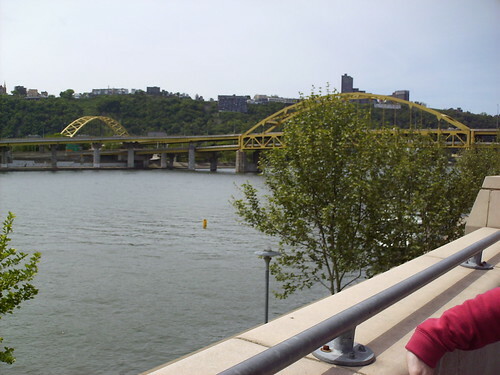 The Three Rivers intersection as seen from the riverwalk inside PNC Park. 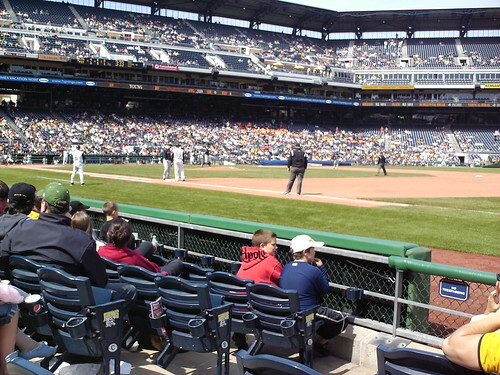 The view from the 3rd base concourse at PNC Park. 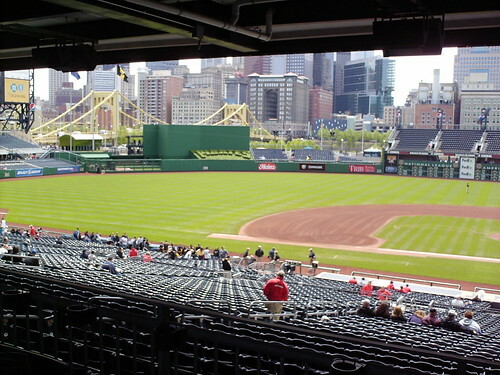 The Pittsburgh skyline is visible past center field. 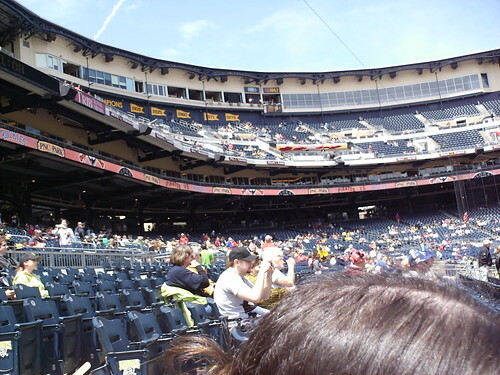 The view from the 1st base line at PNC Park. 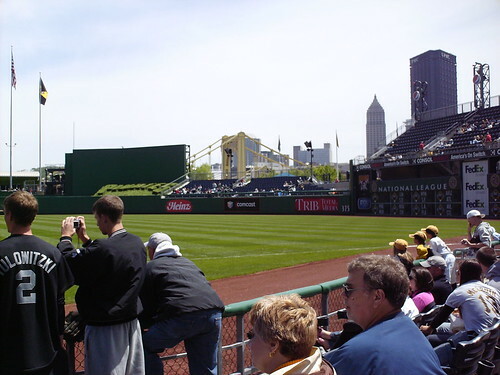 The batter's eye has shrubbery spelling out Pirates, and the out of town scoreboard is updated with runner's positioning on base. 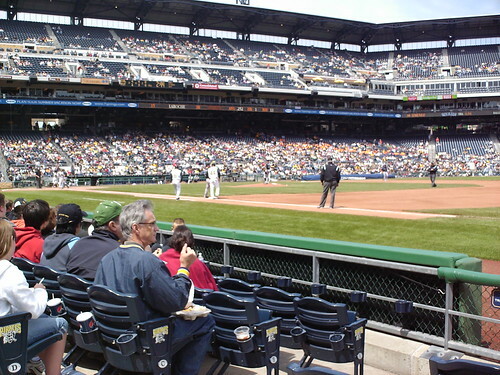 The grandstand and pressbox at PNC Park. Pirates retired numbers ring the bottom of the upper deck, and Pirates World Series Banners ring the top. Former Red Sox 2007 World Champion Brandon Moss on base for the Pirates at PNC Park. Former Red Sox 2007 World Champion Eric Hinske on base for the Pirates at PNC Park.